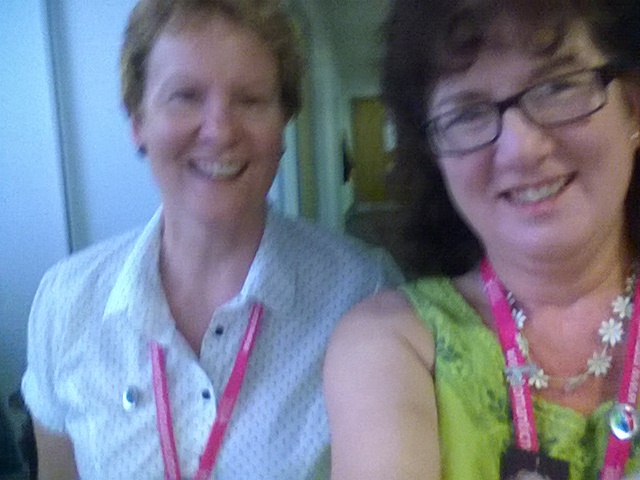 This post gives you the link to my interview by thriller writer Alison Morton and fills in a bit of background. In it, her interesting questions include a query as to whether I’ll ever write a novel and, if so, what would it be about. Hop over to her blog to find out the answers, and also to read more about her terrific Roma Nova series of alternative history thrillers (or alternate history, as the Americans call it, to the irritation of purists everywhere). 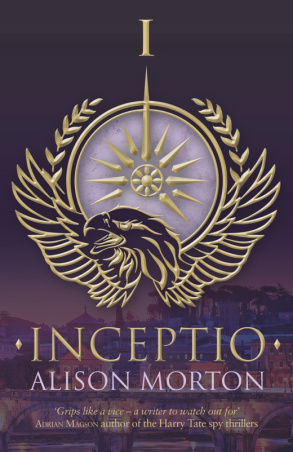 I’ve known Alison for a couple of years, during which our writing careers have been running in parallel.Not long after SilverWood Books published my authors’ marketing guide Sell Your Books!, Alison launched her first novel, Inceptio, assisted by SilverWood’s excellent author services. Although Alison is energetic, computer-savvy and tremendously clever – in short, capable of doing all the self-publishing work herself – she preferred to delegate it to SilverWood, freeing up her own time to devote her time to writing and marketing her books. 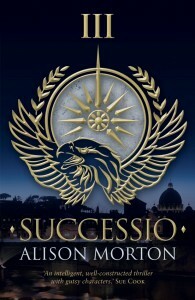 Her strategy paid off, because she’s now published three books in the series – Inceptio, Perfiditas and Successio – and is writing the fourth. Her books have had fabulous reviews (including some from me here), they’ve won all sorts of awards, and she’s just been snapped up by A for Authors agency for her subsidiary and foreign rights. 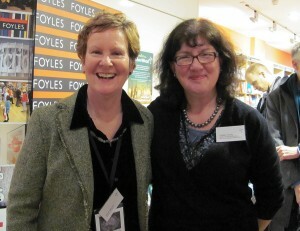 Ironically, although Alison now lives and works in France, and I live in England, I’ve seen her more often than any other SilverWood author lately, our paths crossing at the London Book Fair, SilverWood’s Open Day, at the RNA Conference earlier this month, and other authors’ launches. Or maybe it just feels that way because she has such a high profile on line. She’s also guested on my Off The Shelf Book Promotions blog, her latest appearance being to share her top tips for book promotion here. Either way, she’s a great role model for any aspiring self-publishing author, and, as you can see from our selfie above, a lot of fun. A pleasure to have you on my blog, Debbie!